Step 1: Remove the intake tubing from the top of the engine. 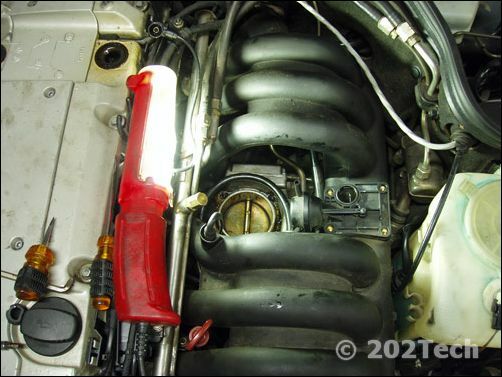 There are two hose clamps on each end and two 10mm nuts that hold the tubing to the car. The places are arrowed below. 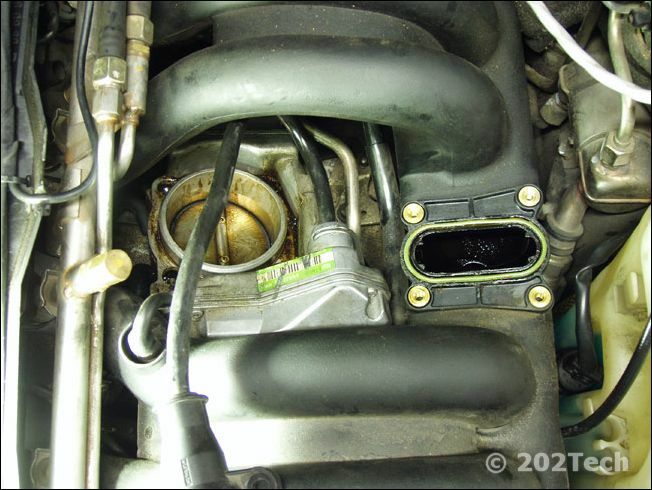 Step 2: Remove the intake charge pipe. The hose clamp on the bottom can be somewhat difficult to get to. I ended up using a 7mm socket with an extension to get to the hose clamp. 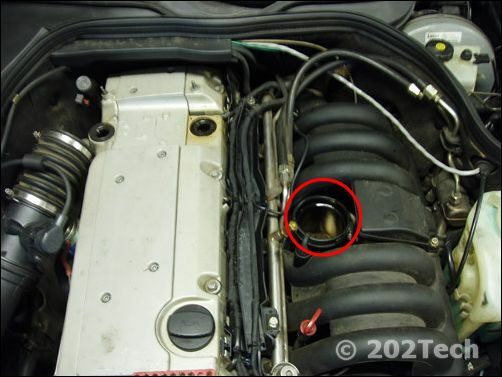 Once the hose clamp is loose, you may have to pull pretty hard to get the pipe off of the throttle body. 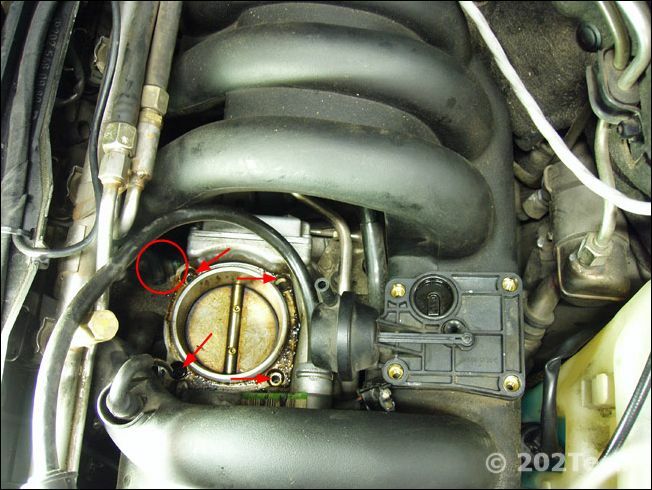 The charge pipe is circled below. Step 3: Remove the resonance flap. There are two rubber caps that need to be removed. They can be seen in the above image. There is an electrical connection that also needs to be removed. The below images shows the caps removed. You will need to use a long allen wrench to get to those. The other two are visible on the outside. The top part will likely seperate from the bottom, and it will look as picture below to the right. The bottom part may be more difficult to remove, but it should slight straight up and out. Step 4: Unscrew the 4 screws which are pointed to by arrows. 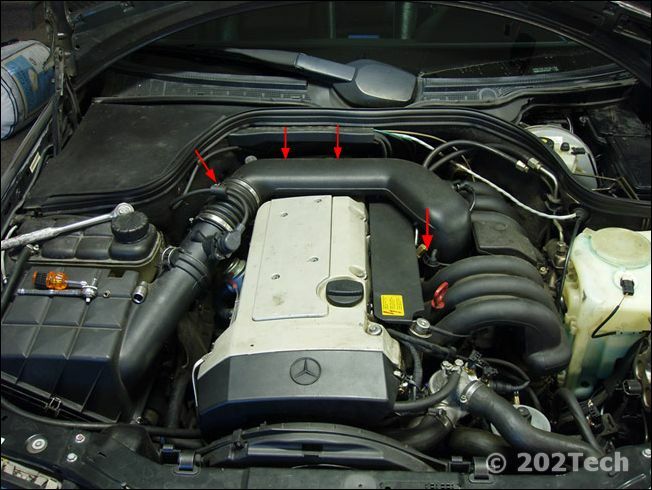 There is also a crank case vent hose which is circled in the below picture. Step 5: Remove the electrical connection from it's mount. First disconnect the connection by swinging the clip as shown below. The connector may take a bit of shimmying and tugging to remove it, so pliers may be necessary. 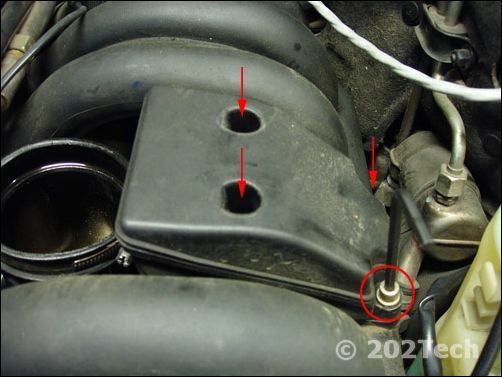 Then, remove the two 10mm bolts on the top and bottom of the connector. Step 6: Remove the throttle actuator assembly. 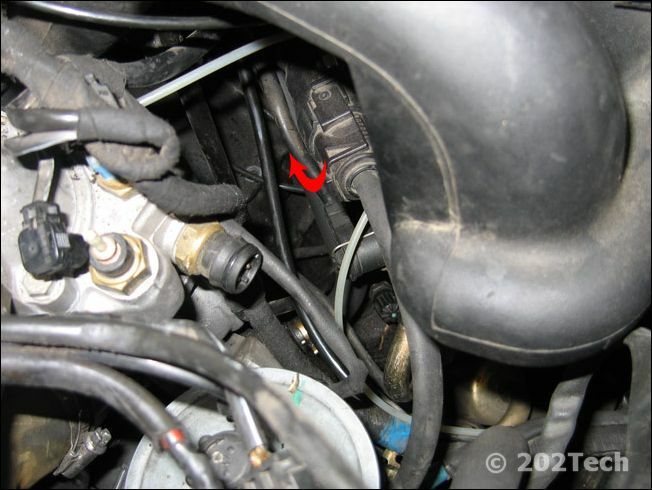 Note that there is also a throttle linkage that needs to be disconnected. It is a ball and socket joint that can easily be disconnected with needle-nosed pliers. Once removed, the ETA should now be free from it's misery. INSTALLATION: Installation is reverse of removal. 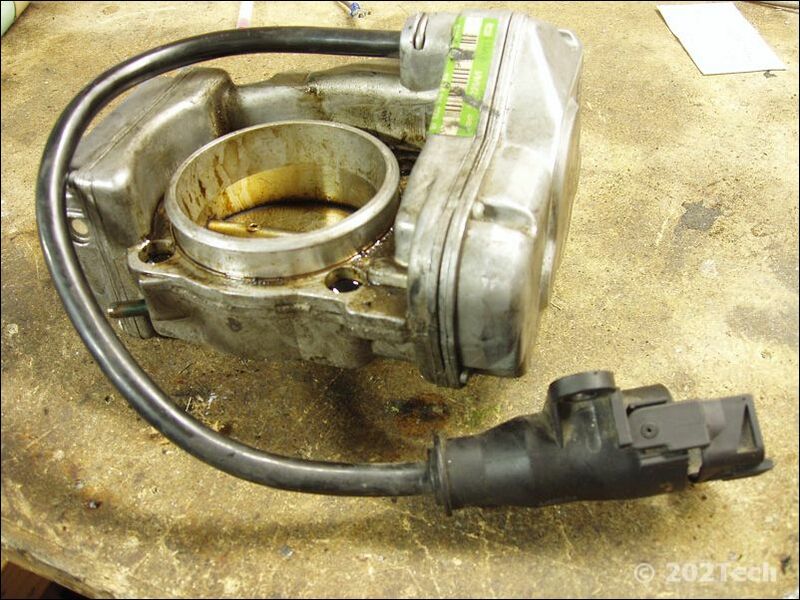 Remember to reconnect the crank case ventilation hose and the wiring to the resonance flap.